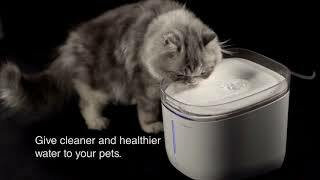 Give cleaner water to pets! 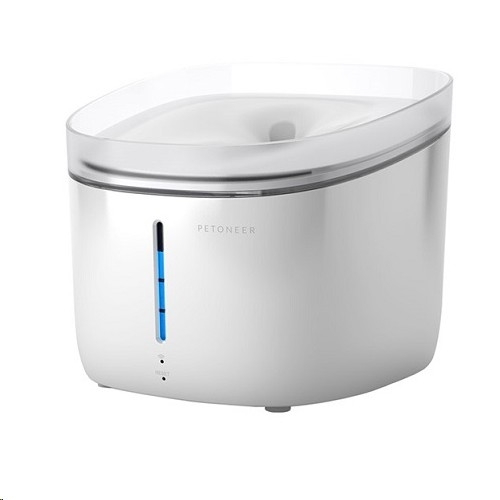 Petoneer Fresco Fountain is designed for Pets with Love. 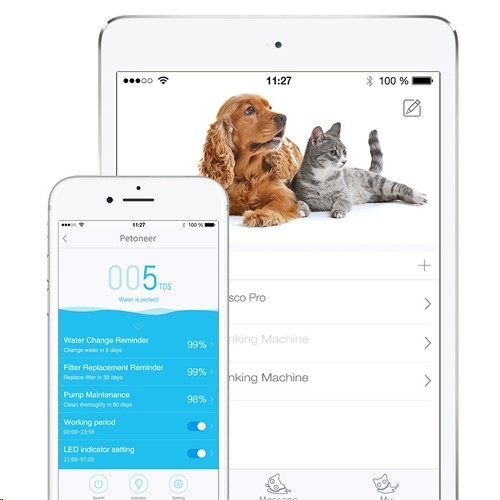 Innovative designs in all aspects deliver better care to Pets. 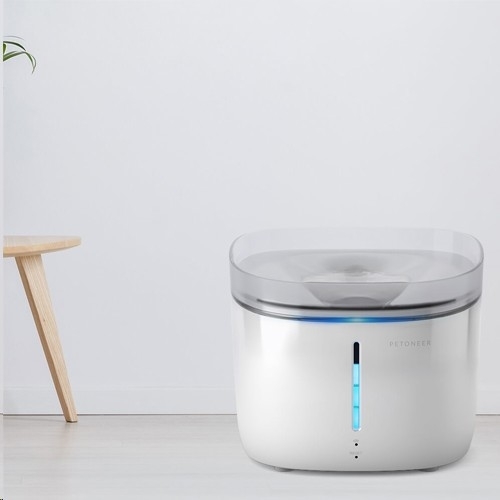 Compared to the common pets' fountains, the Fresco fountain features the unique 3-stage filtration:pre-filtered through a mesh Screens, pushed through activated carbon filter, channeled past ion-exchange-resin filter. 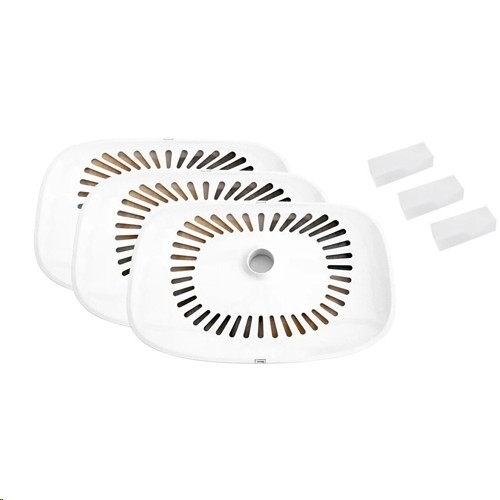 It can effectively filter and diminish the hair, impurity, odour, and chlorine. Consequently, the fountain can give cleaner water to pets and reduce the risk of developing illness. 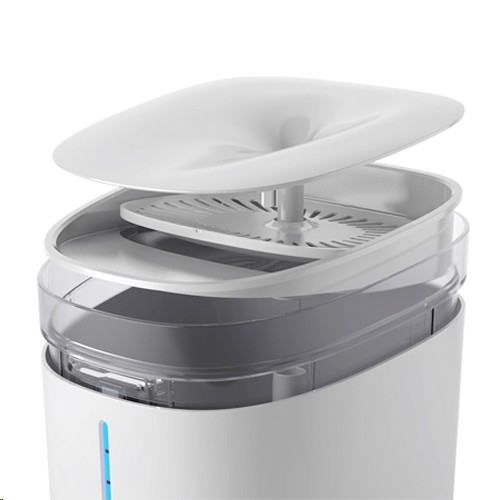 The unique 3-stage filtration system can effectively filter and diminish the hair, impurity, odour, and chlorine. Consequently, the fountain can give cleaner water to pets and reduce the risk of developing illness. The innovatively designedmulti-color visual LED reflects water level, water quality and filter usage all in one. The water level and water quality can be feltintuitively. 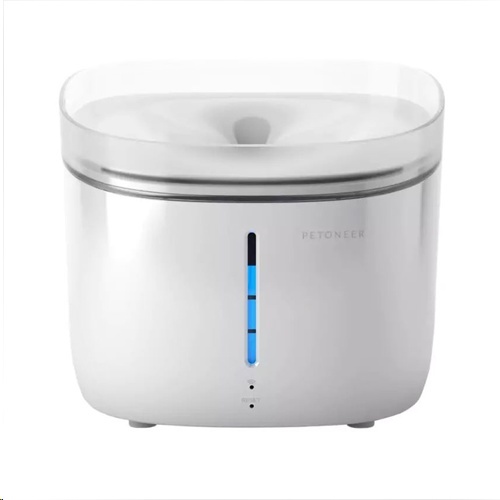 Petoneer is smart with APP and cloud behind. Monitor and control the fountain from anywhere, anytime, as Fresco Pro is born to be cloud-enabled and app-enabled! The built-in LED Light is designed to dim at night. This will make sure your sleep well at night and will not be interrupted by the fountain's LED light! The wave-breaking design of bucket separated from body make the cleaning job a breeze. When the bucket is lifted, the power will be cut off automatically to avoid electricity leakageby water intrusion. To reduce noise by the vibrating motor, the DC motor is deployed with customizedsilicon matt to diminish the noise to a minimum. You would live more happily with your beloved pets with less disturbance! Petoneer products comply with the laws and regulations into each country we ship. Our products are designed, tested and approved to meet worldwide standards for Product Safety, Electromagnetic Compatibility and other regulatory compulsory requirements, when used for their intended purpose.